Last week, one of my neighbors had a baby, a beautiful baby girl. We are praising God that baby is healthy and so is mama, but nevertheless, giving birth takes a big tole on you! So, one thing we try to do for friends and family after a new baby is just simply to offer to make meals for them. So, we offered that to our neighbors, and they oblig ed, so we made them dinner last week. Now, this isn’t a big deal, and wasn’t a huge amount of work. We love our neighbors, and were happy to do this, and it didn’t come at a big cost to us either. This post isn’t in any way intended to say anything about us. This post is brought about by my neighbor’s reaction. Our neighbors enjoyed the meal, and I was over there two days later, and the dad said “we are going to make you dinner next week!” To which I of course told him they didn’t have to do that. No one in my house had just given birth, and so they didn’t have to turn and make us dinner at all. But, he wouldn’t have anything to do with that. He was adamant that they would return the favor. It seemed that he was bound and determined not to just let us do something nice for them. Now, I’m not trying to say anything disparaging about our neighbors, they are great people! My point is simply that his reaction made me think again about how much our hearts hate unilateral love. So often, when someone does something nice for us, we feel like we are obligated to repay them. We think that reciprocity is an unspoken but completely binding and universal law, and it actually makes us not be able to receive gifts or compliments well. We’ve all known someone who just didn’t know how to receive gifts haven’t we? For a long time I was that person. Why is that? Why is it that our hearts recoil at unilateral love? I know that for a long time, my understanding was that if someone did something nice for you, that I was even SUPPOSED to not receive it well, but offer to repay and reciprocate. I thought it was just some unspoken social rule. I remember a time when a good friend and mentor was going to buy me lunch, and I was refusing to let him do it, and he actually got very stern with me (I think just to prove a point). He said “Brandon, how DARE you deprive me of the joy that comes from getting to bless you with this.” I’d never thought of that before, but it changed my attitude toward receiving unilateral love right then and there. I realized right there that it’s not kind, but in many ways insulting, to think we need to reciprocate all the love that’s given to us; in fact, it’s more loving many times to receive love without feeling the need to repay, because it shows that a person’s gift is larger than what we can repay. Think about it, so often, we feel the need to repay the love shown to us, and then when we can’t, we feel guilty, and sometimes, we even push the people who love us further away because of it. But, when we attempt to repay someone’s love, then we are saying that love can be measured in quantitative ways, and that all I have to do is figure out how much someone has loved me, and I can pay them back in kind. But love isn’t like that, and far from being kind by showing reciprocity, we are actually insulting people’s kindness by attempting to put a price on it. And yet, we do it, all the time. Why? Why do we hate unilateral love? Well, I think we can learn lots about why when we think on the nature of our relationship to God. We are made in his image, and it is written into our DNA that we owe him our obedience and must live by his law. Living by law comes naturally to people, living by a “this for that” mentality comes easily, because in some sense, it’s a foundational aspect of our being. God made us, and thus, he deserves to have a say in our lives, and so we must give him that right in our lives, and if we don’t, we deserve judgment. It’s a part of who we are to “pay back”, because that is how living by the law works. And so, in some sense, because we are made in the image of God, because his law is written into our consciences, we know that reciprocity is right. Unfortunately, we are sinners, and sin distorts the whole truth. There are other aspects of God and of our relationship with him that we ignore when we prioritize “this for that” living. For example, it was not because we’d done something good to God that he created us and gave us life. It was not because of “this for that”. God did not give us the capacity for love or joy or friendship because he owed it to us. He did those things out of sheer grace. He did it out of one-way love. And we see that humanity still reflects God, still images God (though imperfectly of course) in displays of grace, as well as in displays of law. I think the problem comes though, when sin distorts our view of God. Sin causes us to believe, among other things, that we can relate to God on the basis of reciprocity. It causes us to think that we can repay God for all that he’s done for us. It causes us to strive for right relationship with him through our works. But, when we do that, we show we are forgetting that we cannot repay God, because we are destitute of the necessary resources to do so; and it also shows that we are forgetting that attempts to repay unilateral love are not loving, but insulting. This is why grace is so foolish and offensive to us, because grace calls into light the fact that we are incapable of repayment, and that our desire to do so is wrong. Paul F.M. Zahl wrote this about grace: “Grace is love coming at you that has nothing do with you. It is a love that is irrational in the sense that it has nothing to do with weights and measures. It reflects a decision on the part of the giver, in relation to the receiver, that negates any qualifications the receiver may hold. In other words, grace is one-way love. Unilateral, one-way love. That’s what grace is, and because our minds don’t know what to do when we receive one-way love, we end up refusing it. It is strange, foolish, and downright offensive to the person who believes that he must repay, and has the capability to do so. 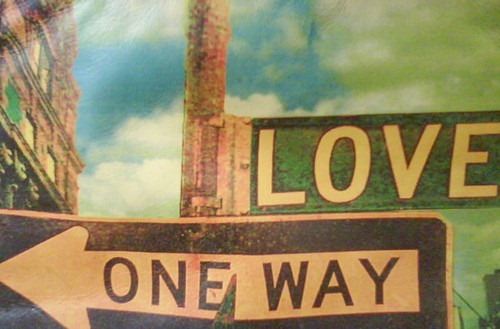 But, when we reject one-way love, it is actually unloving of us. When we look at the person buying us dinner, or complimenting our appearance, or saving our souls, and say to them “I can pay you back, and I’m going to”, then we are saying that love is simply a game of weights and measures. We are diminishing their show of love. This is why the gospel is so hard to apply to our lives, and so often hard to accept. God is calling us to see how desperately we need him, and how destitute we are of anything needed to have him. But, when we do that, not only do we receive the most amazing love and joy that exists, but we magnify him and his love by doing so. And God has wired this world so that little pictures of unilateral love would give us opportunity to show the greatest display of love ever made – the cross of Christ.